Many baby boomers want to age on their own terms, among friends and as part of a larger community. Lexington at Home is a creative exercise in mutual assistance, a growing network of people committed to helping one another as the years go by. 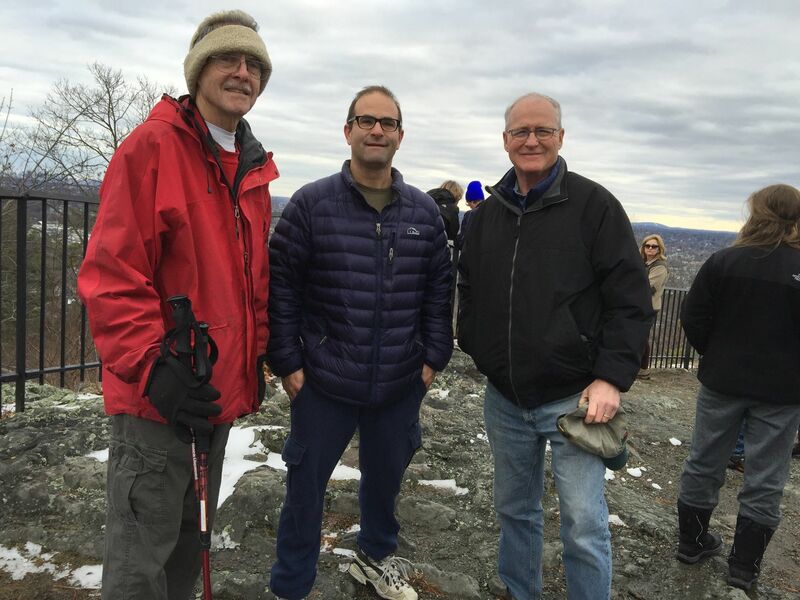 Taking the long view, Nancy and I joined Bill Durkee and Alexi Joannidis (Big Brothers Big Sisters of Massachusetts Bay) for a New Year’s Day climb up Prospect Hill in Waltham. Full-time caretakers for the elderly and people with disabilities often don’t have the support they need. That’s where the Chelmsford Companion Respite Care program comes in. Run by the Council on Aging, the service lends a hand by providing temporary supervisory work so that caretakers can take time for themselves. 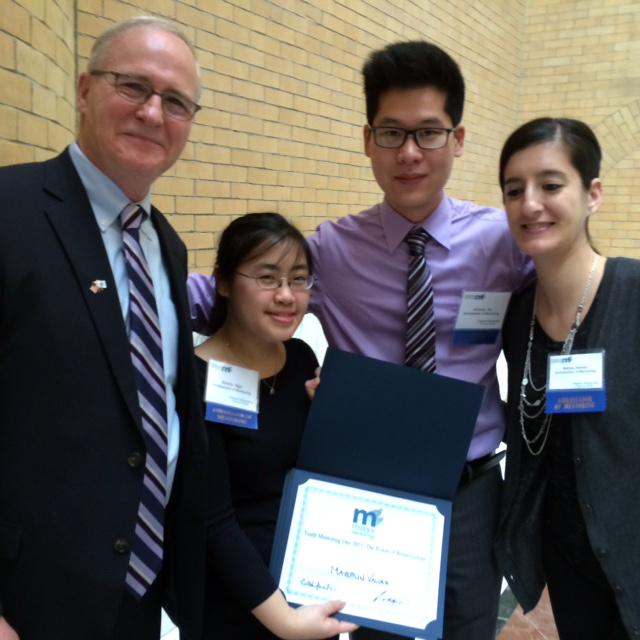 The initiative recently won praise from the Mass. Office on Elder Affairs for its distinguished work. From left to right: Annie Smith, Council on Aging Board Member, Companion Coordinator Betty Chaput, and Colleen Normandy, Supportive Day Program Manager. The Concord, Assabet and Sudbury Rivers are regional treasures — hot spots for local recreation and storied settings in the history of Massachusetts. In 1999 the federal government designated parts of all three waterways as “wild and scenic” for their ecological features and cultural importance. As it happens, they’re the closest “wild and scenic” rivers to a major metropolitan area in the entire U.S. 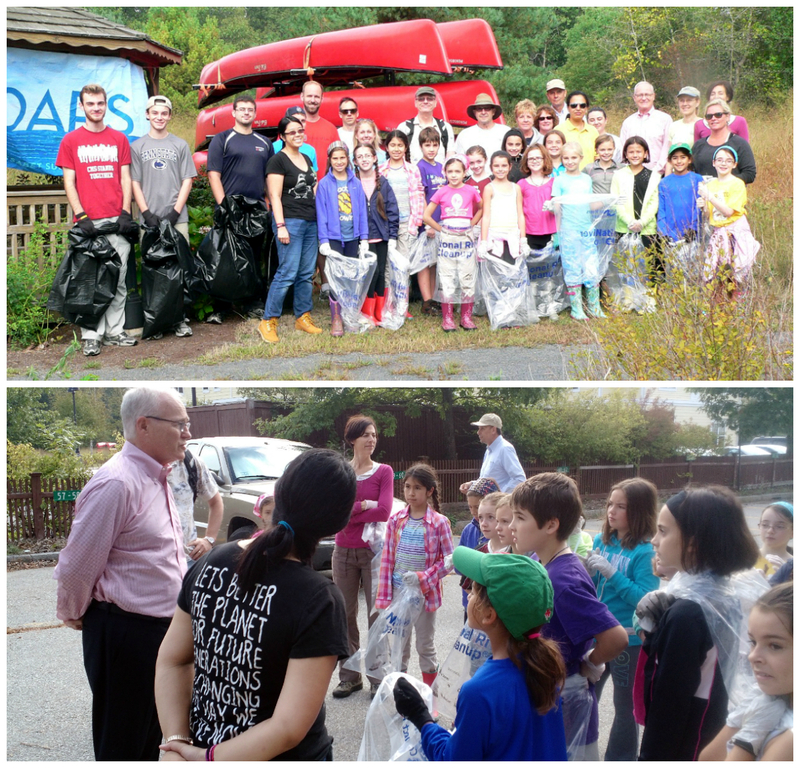 I recently dropped by OARS’ annual cleanup. On that day, 200 people chipped in to help spruce up the Assabet, the Sudbury and the Concord. 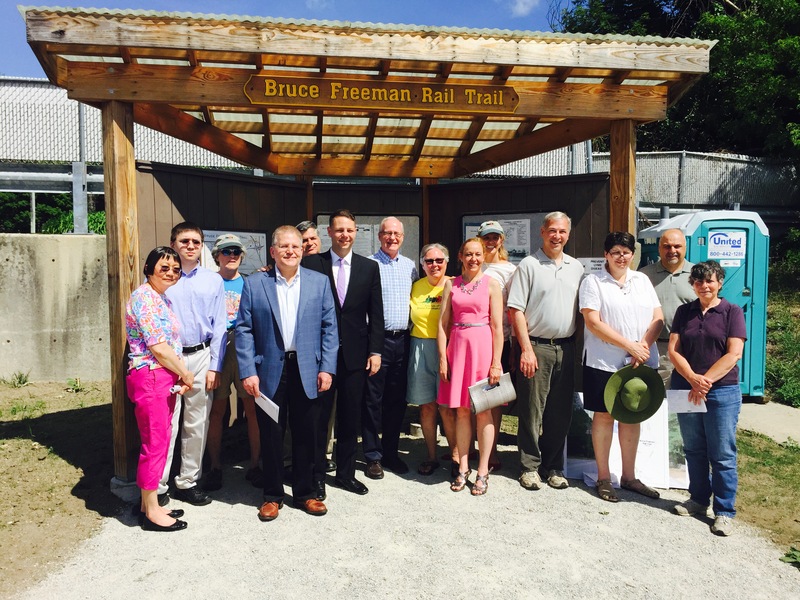 Pictured here with a local Girl Scout troop, employees of Concord-Littleton Lumber, stalwarts of the Environmental Law Club at BU Law School, and members of the Concord-Carlisle High School Fishing Club. That’s me, over there. I’m the, um, older guy…. The engineering wizards at the Massachusetts Institute of Technology want to reduce fossil fuel use and lay the groundwork for safe nuclear fusion. The science of getting this right is tricky but, if anyone can do it, the talent at MIT can. On the left, I meet with MIT Plasma Science and Fusion Center Director Dennis Whyte (center) and inventor and entrepreneur Reiner Beeuwkes of Concord. On the right, with “Wiyj Alcator C-Mod Project” Head Earl Marmar. Photos thanks to Paul Rivenberg. By addressing nitty-gritty matters of managing dollars and cents, Budget Buddies extends a hand to hardworking local women who are running households and family finances. 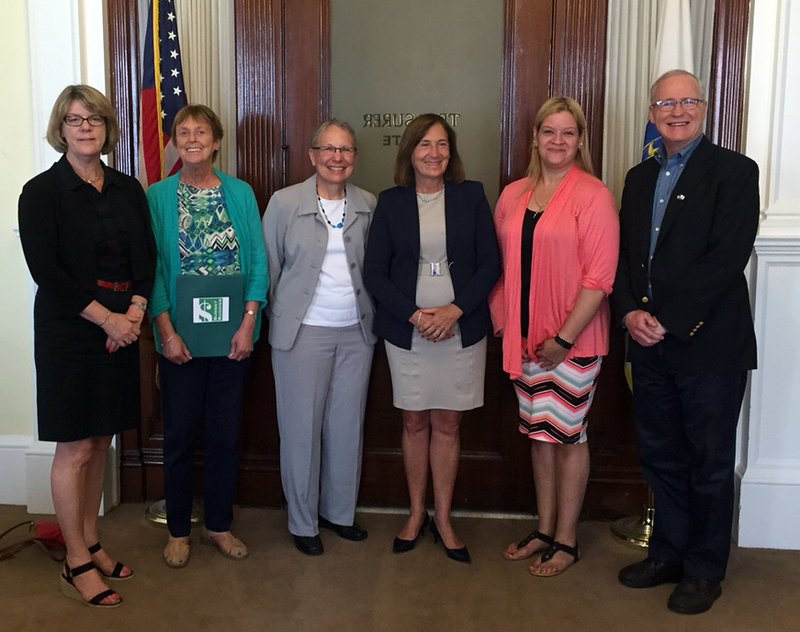 Joined by a longtime mentor-student pair who are now fast friends, Budget Buddies’ cofounders met recently with State Treasurer Deb Goldberg to discuss financial literacy for women across Massachusetts. From left to right: Liz Gustin, Budget Buddies coach; cofounder Kathy Brough; cofounder Anita Saville; Treasurer Goldberg; Jacki Rodriguez, Budget Buddies student; and moi. Pleased to mark the lifesaving work of the New England Organ Bank, which serves more than 160 hospitals and 12 transplant centers across the region. From left to right: Kenny Laferriere, a heart recipient; Waltham Mayor Jeanne McCarthy; moi; Congresswoman Katherine Clark; NEOB CEO Alex Glazier; advocate Ann Linehan; Matt Boger, Director of State Relations for NEOB; Rep. John Lawn; Rep. Tom Stanley; Mike Slama, a heart recipient; Jim Pazzanese, a lung recipient. Joined Gov. 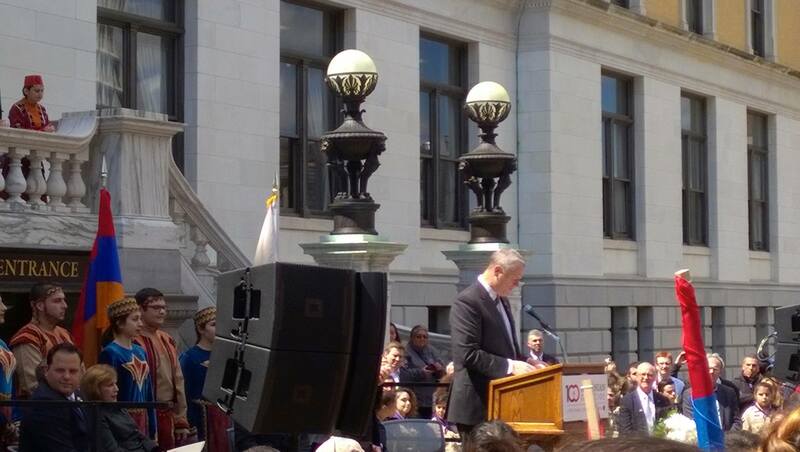 Baker last Friday to mark the 100th Anniversary of the Armenian Genocide. Somber moment, lightened by survivors’ strength embodied in an entire nation. Huge turnout of Armenian Americans, their friends, and their admirers. Non-profit cultural organizations spur economic growth. One dollar spent on the arts brings in $2.30 for local businesses. On the left, speaking with constituents with MASSCreative. We agreed to make that case during the debate over the budget for the new fiscal year. On the right, with Rob Mitchell of Concord, Carole Charnow of Bedford, Jerry Wedge of Concord, Allene Kussin of Concord and Belinda Jentz of Waltham. Met with members of the Mass. Coalition for the Homeless. One of their top priorities is legislation establishing a Homeless Bill of Rights, on which I’m a co-sponsor. You can read more about the bill here. As part of the Senate’s statewide listening tour, my colleagues and I visited the United Teen Equality Center in Lowell. UTEC was founded for local teens in response to gang violence. Had a delicious lunch from Cafe UTEC prepared by some young chefs. 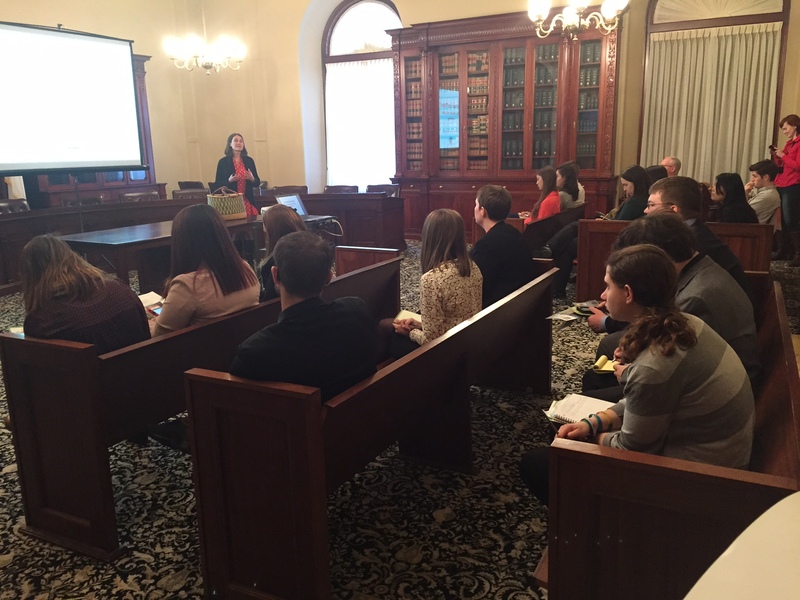 Sonia DeMarta, co-founder of the Farmers Market in Lexington and Healthy Eating consultant at Whole Foods in Bedford, got a State House audience to dig in on the topic of healthy eating. 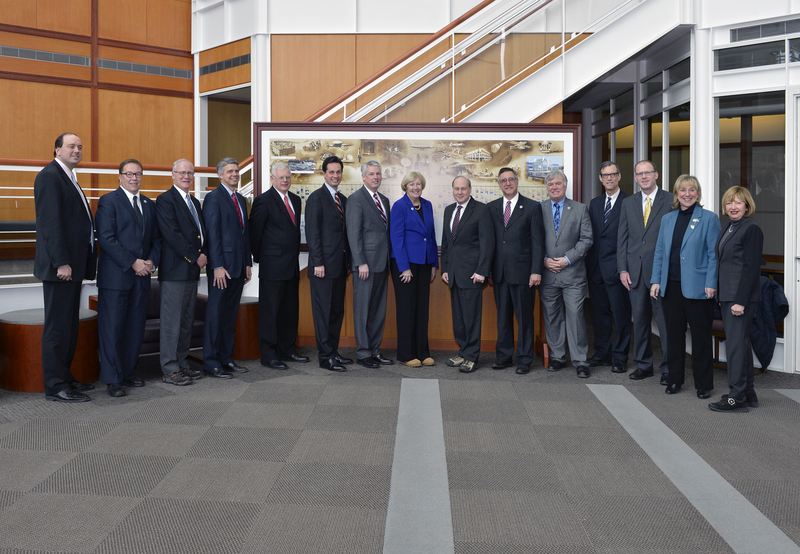 The State Senate’s Commonwealth Conversations Tour stopped at MIT Lincoln Laboratory. My colleagues told me later that they were astonished by what they saw. Among other things, the translation of military R&D to non-military uses is as robust today as it was when ARPANET led to the development of the internet. Brings you up short. Rivets the mind. Emotional, even. At the Museum of Fine Arts viewing the contents of a time capsule entombed in 1795 in a cornerstone of the Massachusetts State House. Sam Adams and Paul Revere chose these things, arranged them, reaching through time to touch people like us, future residents of a young country they had just fashioned out of passion and ideas. I heard from two high-ranking constituents on the importance of legal aid for low-income people with respect to non-criminal problems like evictions and heating shutoffs. 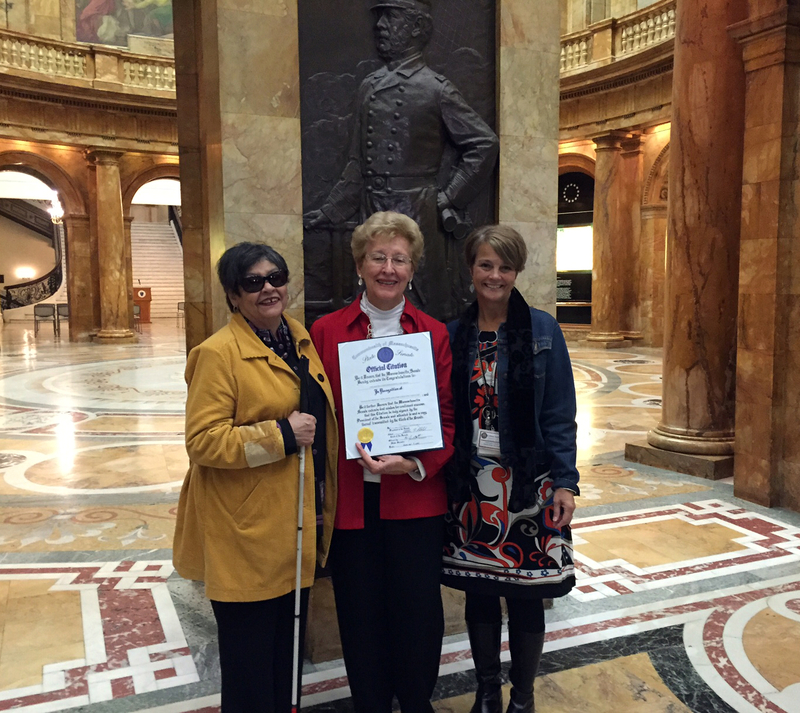 With Boston Bar Association President Julia Huston of Weston (right) and President-elect Lisa Arrowood of Lincoln (left). 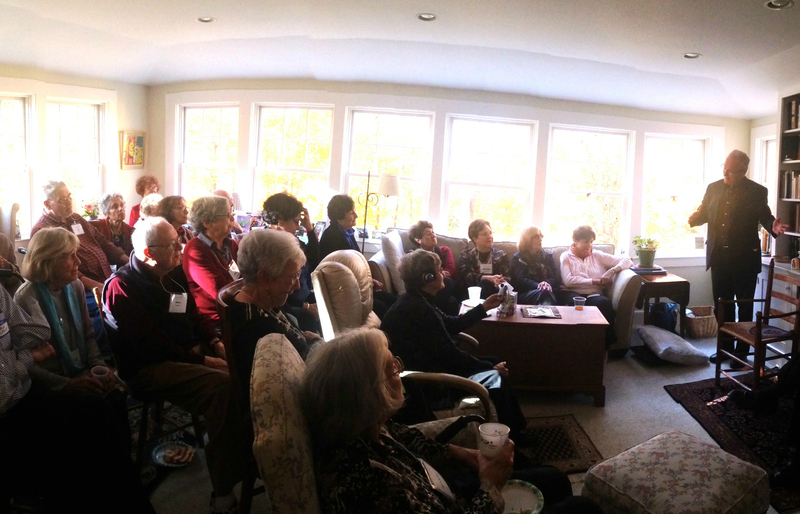 I joined colleagues on site visits in Worcester and Hampden counties, on another leg of the State Senate listening tour. Top: Hearing from Monson Town Administrator Evan Brassard in a new municipal building rebuilt after the original was destroyed by the tornadoes. Left: Speaking with Dan Mardirosian, Senior Operations Manager of the Worcester Tech Biomanufacturing Education & Training Center. Right: At National Grid’s NE Distribution Center. Citizens United has allowed special interests to play an even more discouraging role in the political process. 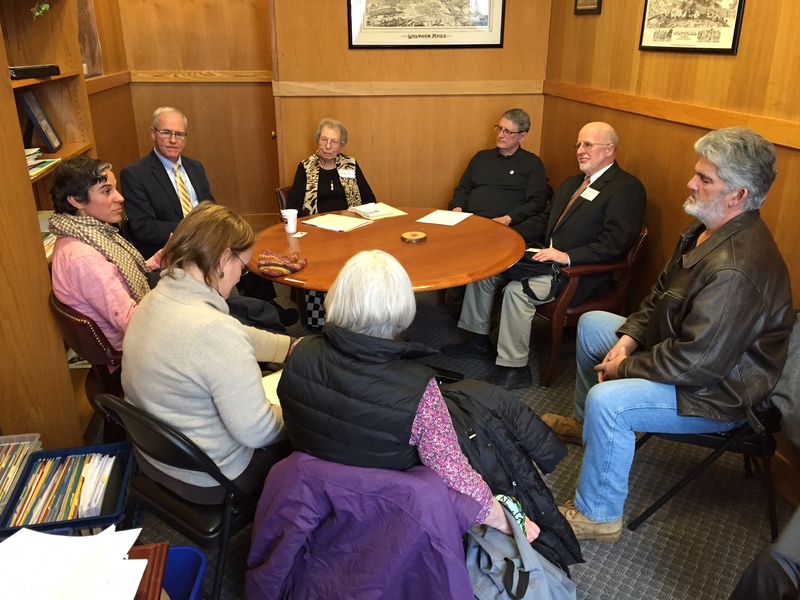 A group of constituents is fighting back by calling for an amendment to the U.S. constitution. I’m with them. I recently co-sponsored the bill filed by Sen. Jamie Eldridge and Rep. Cory Atkins. Dropped by the 9th annual Youth Mentoring Day at the State House. The relationships these groups foster are something to behold. Here with AmeriCorps Ambassadors Sylvia Ngo, Johnny Xu and Melissa Ventola.